From the author of the beloved New York Times best-selling book Is Everyone Hanging Out Without Me? and the creator and star of The Mindy Project comes a collection of essays that are as hilarious and insightful as they are deeply personal. In "How to Look Spectacular: A Starlet's Confessions", Kaling gives her tongue-in-cheek secrets for surefire on-camera beauty ("Your natural hair color may be appropriate for your skin tone, but this isn't the land of appropriate - this is Hollywood, baby. Out here, a dark-skinned woman's traditional hair color is honey blonde"). "Player" tells the story of Kaling being seduced and dumped by a female friend in LA ("I had been replaced by a younger model. And now they had matching bangs"). In "Unlikely Leading Lady", she muses on America's fixation with the weight of actresses ("Most women we see onscreen are either so thin that they're walking clavicles or so huge that their only scenes involve them breaking furniture"). 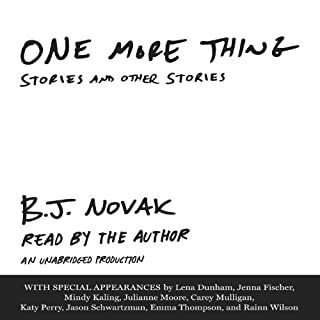 And in "Soup Snakes", Kaling spills some secrets on her relationship with her ex-boyfriend and close friend B. J. Novak ("I will freely admit: my relationship with B. J. Novak is weird as hell"). 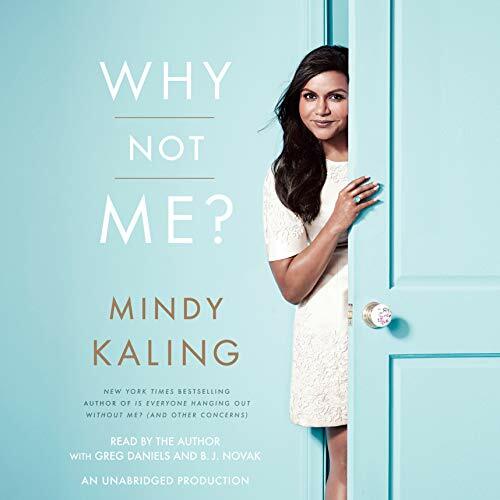 Mindy turns the anxieties, the glamour, and the celebrations of her second coming of age into a laugh-out-loud funny collection of essays that anyone who's ever been at a turning point in their life or career can relate to. And those who've never been at a turning point can skip to the parts where she talks about meeting Bradley Cooper. Loved her in The Office, loved her first book, love The Mindy Project so SURPRISE I love this book. Why not the 5 stars? I try to reserve those for books I would recommend to anyone. Mindy may not be for everyone. If you like flippant, fast humor with a dash of life lessons please read this and you will laugh out loud. 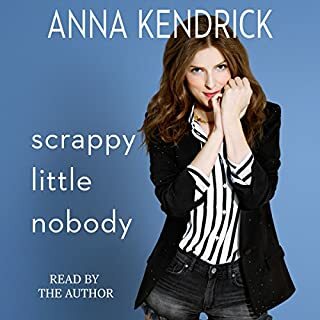 I would recommend her first book over this one, I would say its worth a listen only if a super fan. She really is a talented and amazing woman and Hollywood and the Arts are all the better for having her as a talent and muse. And her humor is great. I would say I would have quit reading this so the narrator made it so I finished. What else would you have wanted to know about Mindy Kaling’s life? It got repetitive and maybe with different editing on some of the tirades she tends to go off on were a turn off and maybe if they were shortened or not allowed it would have been as good as the first book. I'm fairly certain Mindy Kaling could read a grocery list, and it would be hysterical. Indeed, she might have done that in this book, but I don't want to spoil it for you. And Kaling isn't just funny. Her dry humor has a sweetness and poignancy to it that makes it memorable. Thanks for another great book. "I wish I always acted like I was a little bit famous"
Just one of the many reasons that I think Mindy is a good role model. This book makes me love Mindy more than before. I think this book is better than he last book because it gives you a look at her life now, vs the last book which was more about her childhood. She tells great stories and gives some good advice and great insight. 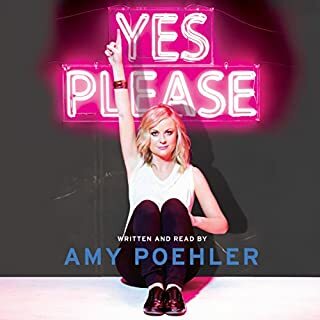 There were a couple guest readers which was nice; unlike in Amy Poehler's book which just felt like a party that you were invited to, it actually added to the book/story. After reading this book, I want to go out, buy a ukulele and start shipping Mindy my favorite varieties of hot sauce. I've always been a big Mindy Kaling fan, but this book made me like her even more. It's refreshing how normal she is and how much of this book I could relate to. I feel like the book could have been called "Stars, They're Just Like Us". Her chapters on confidence and body imagine should be read by every woman, but not because of how she's just out there nailing the confidence game. Because of how she "flaunts what (she's) got" and still manages to openly talk about her insecurities too. To summarize, it was just really really good. Just what you expected and just what you need! Mindy's second stab at a book is short, charming, and downright f u n n y.
I only wish it were longer. 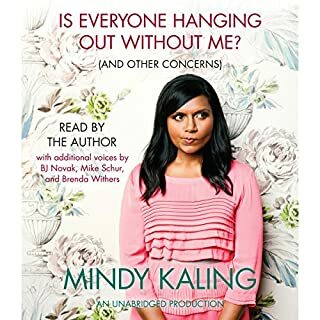 I love Mindy Kaling - "Is Everyone Hanging Out Without Me?" was a joy to read in its physical form. I should have stuck to the paper pages for this one. It's a personal thing, but I've realized that I prefer audio books with a lot of dialogue and varying characters to keep my interest. This, obviously, is not that type of book. And if you are familiar with Mindy Kaling, you know her voice is...specific. She uses it to great comic effect when combined with physical comedy, facial expressions, etc. but it becomes slightly grating when isolated. What did you like best about Why Not Me?? What did you like least? Hmmm what I liked best was Mindy Kalings narration. What I liked least was it seemed to be the same as the first book. 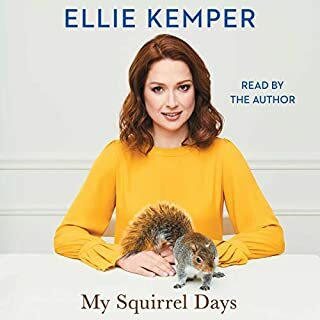 If you’ve listened to books by Mindy Kaling before, how does this one compare? Well I know this will come as no surprise to any reader, but these books are shallow. I know Mindy Kaling fought to get where she is today but I hated really how lacking she is in the area of depth. She performed her own truths wonderfully. Maybe something of more depth, but I think I am digging a little deep myself, wanting more from her than there was. 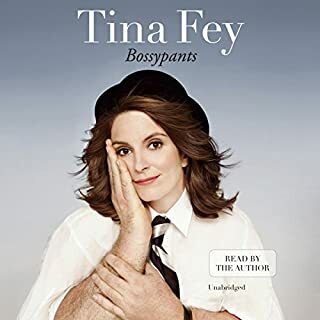 I'm a big fan so you might say I'm easily pleased by anything Mindy but still here are my highlights: great and short essays that are both funny and pop-culture-deep. I also liked that, being a second book, is less of an autobiography and more a smart woman's everyday's concerns turned into really well thought and really funny essays (something like fun reflective confession). Her performance makes the hole thing better because she knows like nobody else how's that supposed to sound. I'd seen the shows and heard of her writing but this book has converted me to team Mindy! Finally someone real and I don't mean in the body shape condescending way I mean her words mean something!